It’s July! And I’m in Basque country! I’ve been eating my weight in pintxo’s (bread and jamon, mostly, but also some chorizo and cheese and squid, for good measure), and feeling pretty great about life in general. An interesting perspective (literally) on food additives. I know this is a few days old now, but YES. FINALLY! 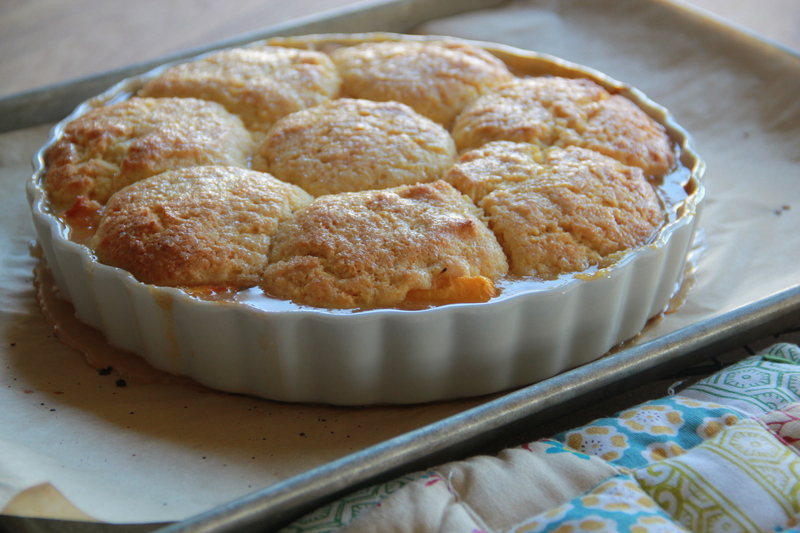 Time to bring this Cornmeal Peach Cobbler back into rotation. Pretty patriotic treats! Stay tuned tomorrow for some of my own.